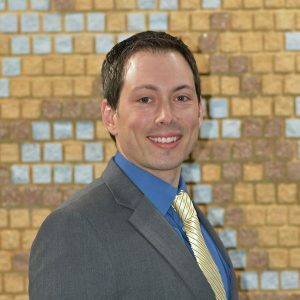 Ryan’s current role of Vice President of Pipe and Precast has provided him with valuable leadership experience and a comprehensive knowledge of the concrete products industry. In keeping with Besser tradition, Ryan has grown within the Company in a complete grassroots, hands-on approach. From the shop floor to global tradeshows, he has worked closely with nearly every department and function over his fourteen-year career with Besser, as well as customers throughout the world, to establish a complete understanding of our business and industry. Ryan is surrounded by an excellent management team in all areas of Besser Company, who are all committed to continuing the Company’s legacy of providing outstanding customer service and unmatched innovation and quality. “The concrete products industry provides countless opportunities for collaboration and growth. I’m excited to lead the team at Besser in operational improvements and work closely with producers to create new and grow existing partnerships,” commented Ryan. Ryan, his wife Melodi, and their son Boe reside in the Alpena area and, together, look forward to an exciting future at Besser.